Piano lessons Derby Review Kemble Classic T upright Piano. The Kemble Classic T upright Piano has a classically elegant cabinet with a subtly profiled top featuring Kemble’s tonally excellent K116 scale with a fully braced back. It represents astonishing value and offers superlative clarity of tone and touch. The “Heritage” Natural Oak Satin version features a cabinet composed of beautifully handcrafted veneers, created by Kemble’s master veneer craftsmen. And if you are looking for an exciting contemporary look, why not choose Kemble’s Mocha coloured oak and chrome? Practice pedal comes as standard as do solid double brass castors. It was voted “Maestro” in its price class by Pianiste Magazine, an accolade defined by them as a piano that distinguishes itself by exceptional quality or by an excellent quality/price combination in its category. A fabulous instrument for learning Piano! This instrument of small size (116cm) possesses an astonishing richness of sound throughout. Its treble is open and luminous without ever being aggressive. The middle sings naturally. The bass astonishes by its depth and power. The sound palette of the instrument is large and its reserve of power is very satisfying. It is an excellent instrument with very good musical possibilities at an affordable price. A typical Kemble Piano! Kemble was established in 1911 and is now part of the Yamaha Musical Instrument group but still retains its original sound quality. Their uncompromising commitment to craftsmanship, design and value has produced award-winning pianos, and they continue to blend traditional piano making skills with the latest technology to produce the highest quality pianos. 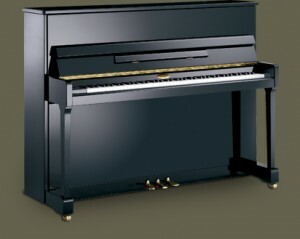 Kemble Pianos have an unmistakable tone, – hear just one note, and you instinctively know it’s a kemble. At time of writing the Kemble Classic T retail price is £4,800.00. This is definitely a high-end Piano which deserves further in-depth demonstration by a reputable Piano dealer. If you live in Derby or Derbyshire visit Chas. Foulds on Irongate their staff are extremely helpful and will be delighted to give you a full proper demonstration of this fine instrument. Chas Foulds are selling the Kemble Classic T at £4,320.00 – a saving of £480.00 against list price! See the Kemble Classic T upright Piano as shown on Chas Foulds Derby website. Derby Music Teachers – Review Kemble Classic T upright Piano. © 2012 all rights reserved. Piano Lessons Derby. 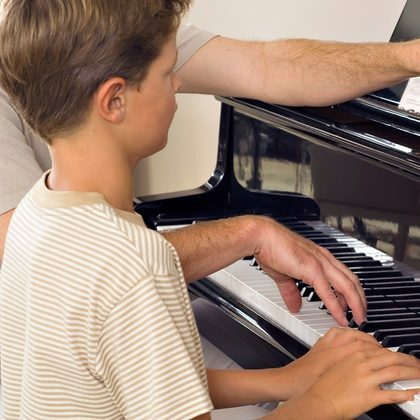 Providing Piano & Keyboard Lessons in Derby since 1979.